Grinding Gear games have just announced that the Synthesis expansion for Path of Exile will be released for PC, Xbox One and PS4 on 8th March 2019. In Path of Exile: Synthesis, players will meet Cavas and help him recover his lost memories by fighting their way through them and then stabilising them to collect a fragment of that memory. These memory fragments can be combined together to synthesize dangerous and unstable new areas to explore for valuable rewards, including Fractured Items, a new type of rare item that has some of its properties locked in place. Players can combine Fractured Items in a device to create a Synthesized Item – a very powerful crafting base type that has implicit properties influenced by the Fractured Items consumed. Synthesize New Areas: Cavas’ memories can be combined to synthesize dangerous and unstable new areas that players can run for valuable rewards. Players will discover many strategies for combining memories for maximum rewards, including challenging boss encounters and their valuable treasures. Fractured Items: While exploring Cavas’ memories and areas synthesized from them, players can find Fractured Items, a new type of rare item that has some of its properties locked in place. These properties can’t be modified by random crafting actions performed on the item, which makes them a powerful way to craft efficiently. Synthesized Items: Players can combine Fractured Items in a device to create a Synthesized Item – a special base type where the implicit properties are influenced by the properties on the Fractured Items consumed. These Synthesized Items offer very powerful crafting opportunities. Betrayal goes Core: Due to popular demand, December’s Betrayal League is being integrated into the core game as evergreen content. New Archetypes: With its emphasis on spellcasters, this expansion also introduces two new character archetypes – the Chaos and Holy casters. 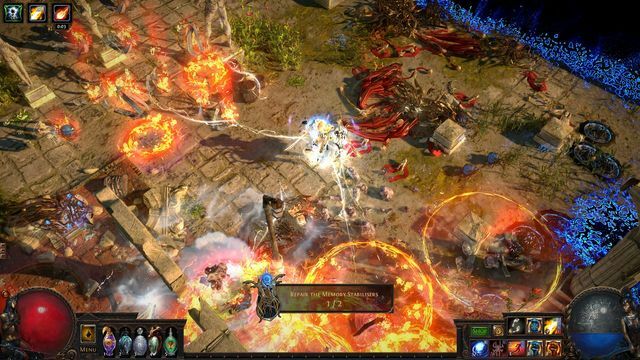 The new skill and support gems added for these archetypes also affect dozens of other Path of Exile builds that might find them useful. New Gems: Path of Exile: Synthesis contains 14 new Gems, including seven new Skill Gems, four new Support Gems and three complete revamps to existing Gems. The Atlas has Shifted: The Atlas of Worlds (a chart of Path of Exile’s end-game maps) has been updated, with new positions for existing maps, and many more secret player hideouts to discover attached to these maps. 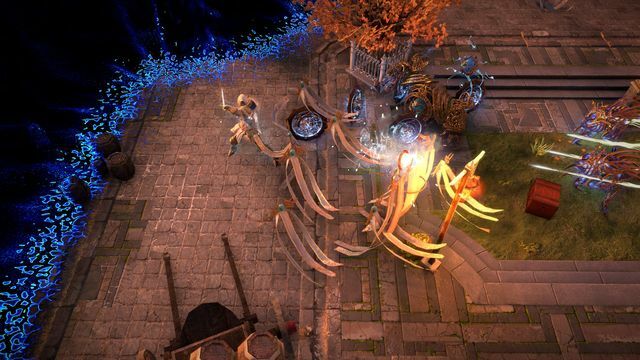 Available on PC, Xbox One and now PlayStation 4: Path of Exile: Synthesis is not just coming to its existing platforms of PC and Xbox One, but will also be available on PlayStation 4. All versions are, of course, 100% free to play.